Whipped egg whites lend the perfect texture. Pok Pok's Andy Ricker shows us how it's done. A five-minute technique from India transforms basic dishes. Straight from Paris, it's a quick bread in disguise. A great go-to for your regular rotation this season. 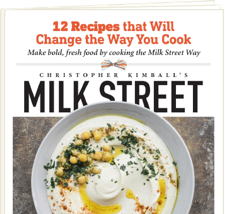 Here at Milk Street, we want to change the way you cook. Traveling around the world, we discover new ways to cook, new combinations of ingredients, and a fresh appreciation for spices, herbs, chilies, and pantry ingredients that put great food within everyone's reach. 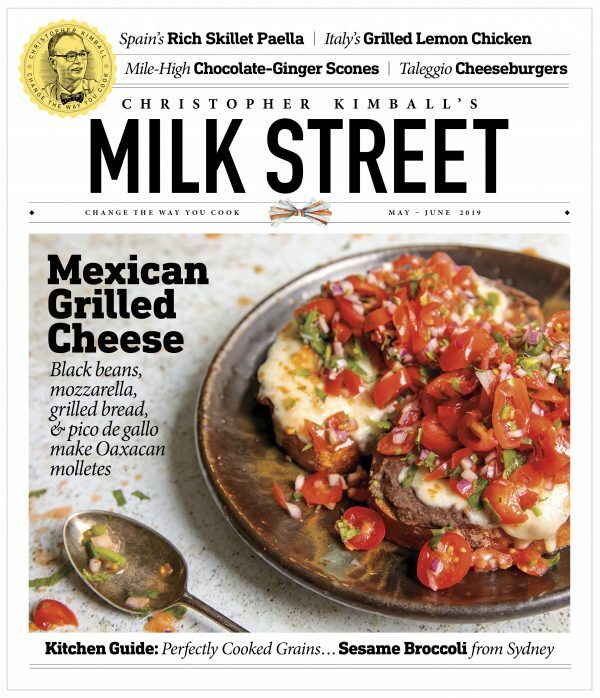 If you want to have more fun—and more success—in the kitchen, join us at Milk Street. CHOOSE ANY PLAN. 12 WEEKS FOR JUST $1. Our print magazine delivered to your door. Our print magazine plus complete digital access. 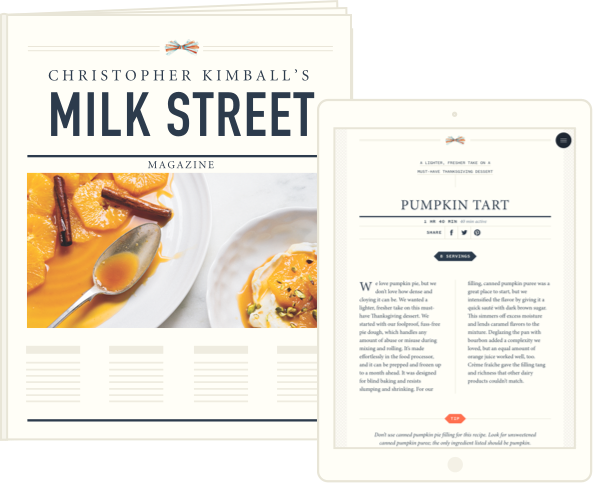 Digital access to Milk Street anytime, anywhere. Tuesdays are the new Saturdays! Now, simple midweek suppers will taste like Saturday night. Watch and learn: Piri Piri Chicken and Cape Malay Chicken Curry. Andrea Nguyen on Vietnamese Home Cooking in the U.S. The author describes fleeing Saigon, early memories of American supermarkets and cooking tips. 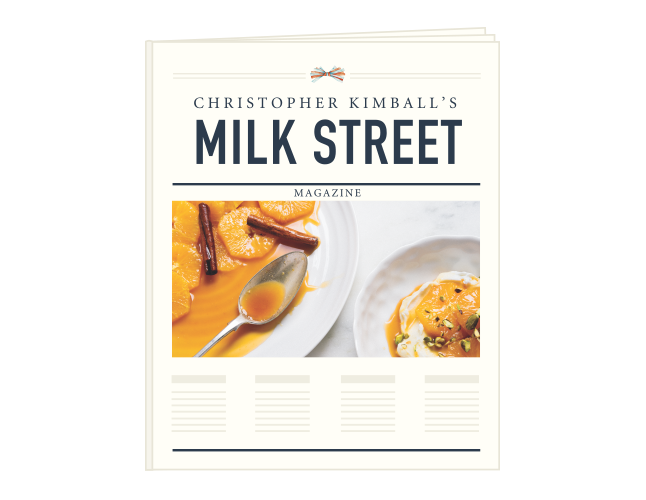 From our Cooking School to our TV show, Milk Street will change the way you cook. 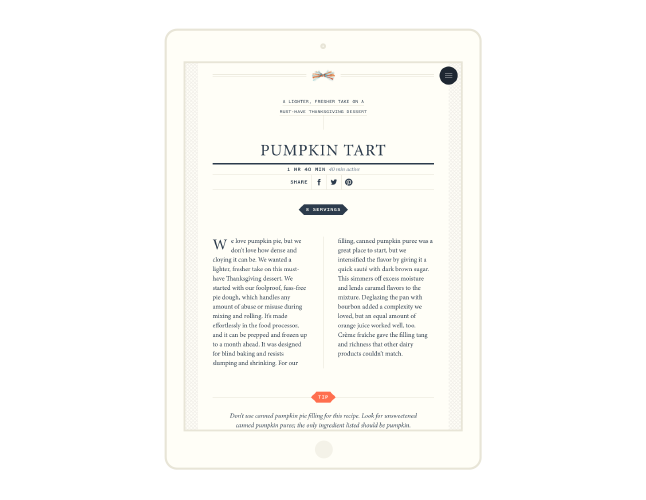 This 464-page companion book contains every recipe from our first two seasons. Gentle spice and crunchy seeds perfectly balance rich, tender cashews. Spoon over anything or eat by the handful. Designed with Zwilling J.A. Henckels, this is a great starter set for any cook. From the makers of our favorite tahini comes an excellent alternative to maple syrup. Toss with popcorn or use for sautéing vegetables, greens and chicken. Also known as a “wok shovel,” this broad, short spatula is essential for quick stir frying and sautéing. This French-made, partially serrated blade is as great for jam and butter as it is for cheese. Waste not want not with these beeswax-coated, re-sealable, reusable waxy sheets. This mouth-tingling Chinese spice turns every dish into a party. The stove top-safe JIA Ceramic Terracotta Cedar Steamer comes with a rice cooker lid. We use this skillet for a range of tasks, from toasting spices to steak for one. This Oregon-caught and canned, solid-pack Albacore tuna rivals the European quality at a much lower price point. A no-cook sauce and minimal knife work (just for chopping mint leaves) make this a terrific go-to pasta to add to your regular rotation this spring. You can thank Evan and Sarah Rich for the inspiration. Transform basic vegetables with this quick technique. Warning: This bread is addictive. Turn stale pita into a meal you'll want for breakfast, lunch and dinner. In Baking, When Can You Substitute Oil for Butter? Find out which recipes can handle the switch. 1. Always finish your meal with a shot of mezcal. Banana bread doesn’t have to be boring. We took everyone’s favorite, go-to quick bread and gave it a makeover, using a complementary spice, two leaveners instead of one, a sweet and crunchy topping, more precise measuring and a near-universal improver for baked goods: brown butter. Inspired by Ignacio Mattos's favorite late-night snack. Adding liquid in stages concentrates flavors and creates a natural sauce. Whipped egg whites keep this extra-chocolatey cookie crisp and light. A one-pan-fits-all guide to baking. Get the most flavor and depth out of your dishes. English baker and Paris transplant Rose Carrarini flips tradition on its head. A decadent sandwich from Australia, influenced by Korean and Japanese flavors. For the most flavorful grilled chicken, focus on the char. Porcelain bowls with snug wooden covers and chopsticks are inspired by Korean stone dolsot bowls. Add a savory umami punch to your sauces, dressings, soups and stews. Don't use this charcoal grill indoors, but do use it on the patio or at the beach. The writer explains why jamón Iberico makes prosciutto taste like baloney. A series of slashes maximizes flavor for tender-juicy chicken. 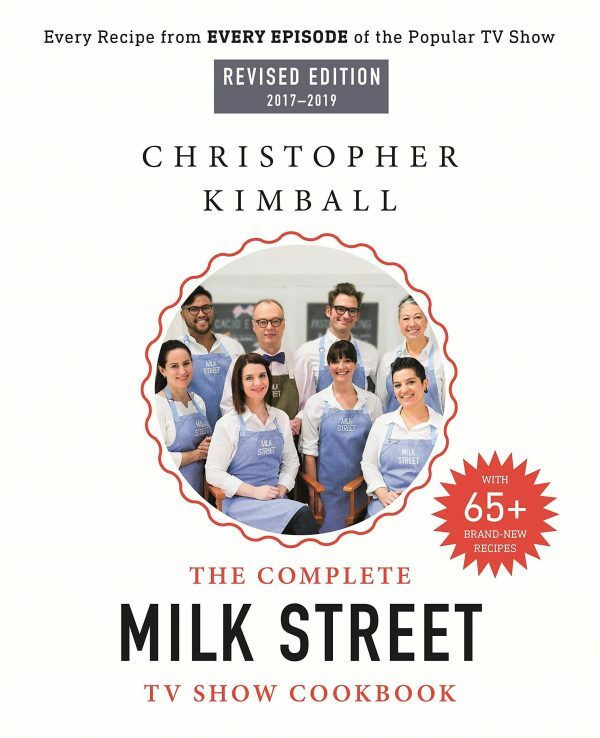 Milk Street: Tuesday Nights nominated for Best General Cookbook. Milk Street Radio wins Best Food or Drink Podcast. PBS Living just made it even easier to watch our show.